Need a good reason to extend your healthy summer eating habits into fall? 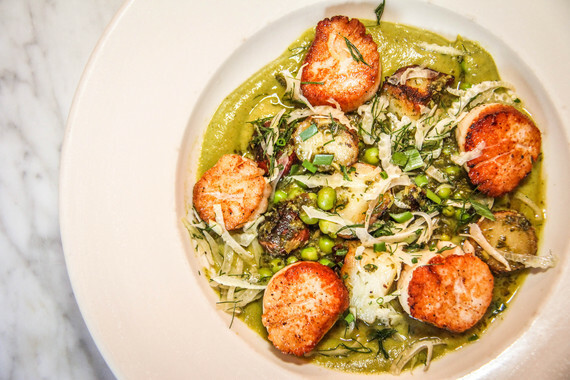 These fresh seafood dishes are just the inspiration you need. Whether you prefer a simply prepared whole fish that allows its freshness to shine or a dish with saucy complements, one thing's for sure, a deliciously prepared seafood plate is one of our favorite meals year-round. 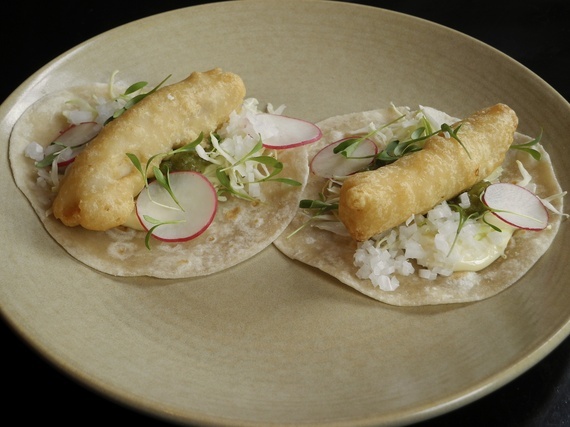 One of many inventive taco dishes at Empellon Cocina, the Fried Maine Smelts (a small fish commonly found in the Atlantic Ocean) are prepared with jalapeño relish and lime mayonnaise. 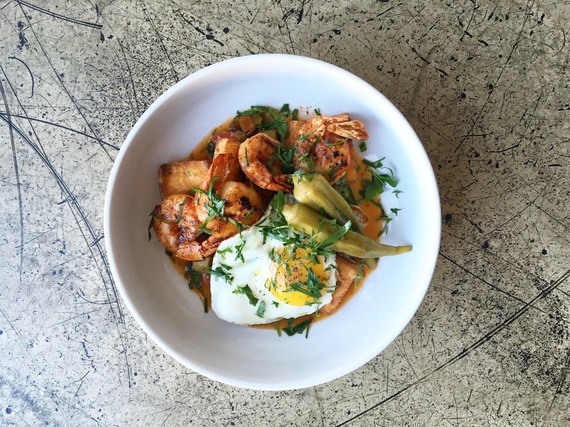 Emphasizing seasonal ingredients and forward-thinking, the Shrimp 'A La Plancha' at Fundamental LA is a menu must, made with stewed okra, fried polenta and a sunny egg. Before digging into the seafood-focused pasta, pizza and large format roasts, check out the shrimp appetizer delivered with fish pepper cocktail sauce and nori (edible seaweed) aioli, as well as the fresh raw bar selections. Photo provided by Mission Taqueria. A light and refreshing ceviche, the Coctele de Mariscos is prepared with grilled shrimp, calamari, clams and citrus. 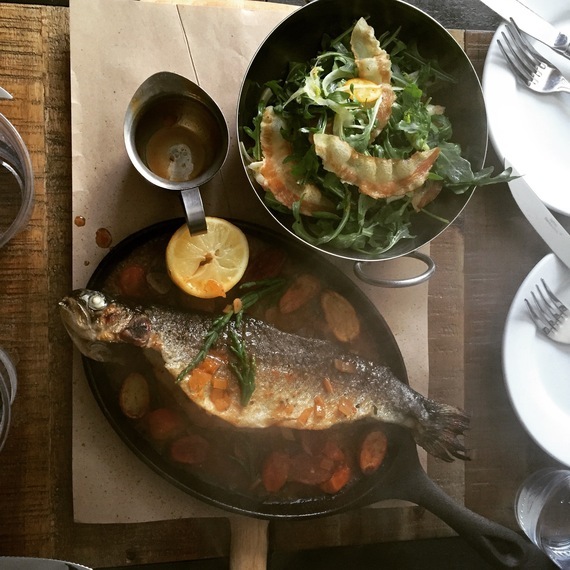 Great for sharing at the table, the whole branzino at Casa Luca is classically Italian, prepared with slow roasted tomatoes, red peppers and Taggiasche olives (a deep red olive grown in Ponente, the western part of Liguria, Italy). Photo provided by The Bywater. 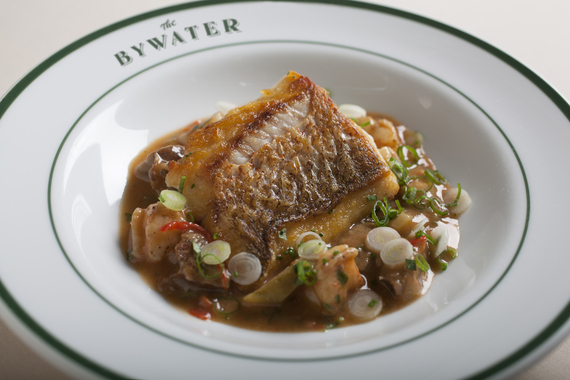 A New Orleans-inspired dish, the Snapper Courtbouillon at The Bywater in Los Gatos, just south of San Francisco, celebrates where Michelin-starred chef David Kinch first learned to cook. A French poaching stock, the courtbouillon is a roux-based fish stew made with Creole tomato sauce. Photo provided by Mirai Sushi. 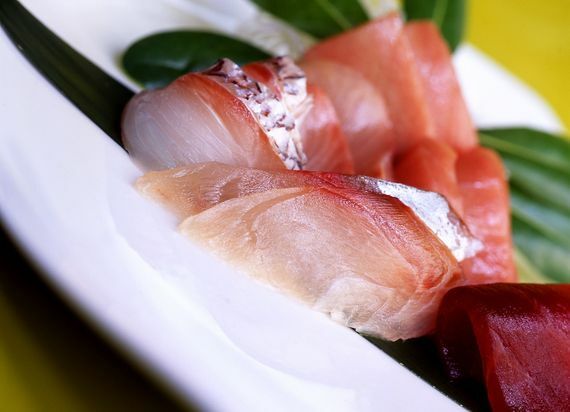 Offering daily fresh fish combinations from the sushi bar, Mirai Sushi has locations in both Gold Coast and Wicker Park and offers many varieties of tuna, salmon, white fish, shrimp, eel and fish roe sashimi. From Top Chef Winner Nick Elmi, ITV serves up French-inspired New American small plates, like this cured fluke with daikon radish, preserved citrus, buttermilk and pine nuts. Photo provided by The Stocking Frame. 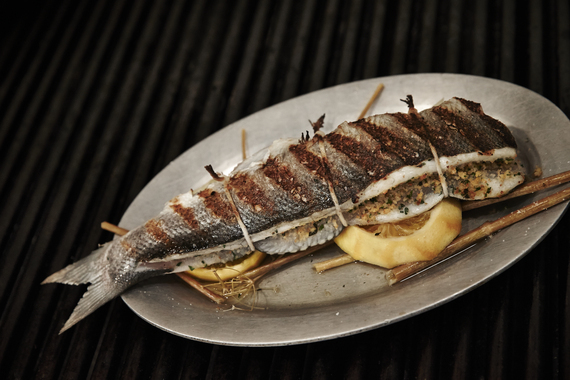 The Stocking Frame prepares a whole wild caught sea bream -- a mild, white fish -- in a wood oven with herbs and piri piri sauce. Of Portuguese origin and commonly used as a seasoning or marinade in African countries, piri piri sauce is made from crushed chillies, citrus peel, onion, bay leaves, paprika, basil and other spices. Photo by Morgan Ione Yeager. Photo provided by SRV. If you want to satisfy your seafood craving with a heartier dish, the Spaghetti alla Busara at SRV, made with shrimp, garlic and spicy tomato sauce, is calling your name. 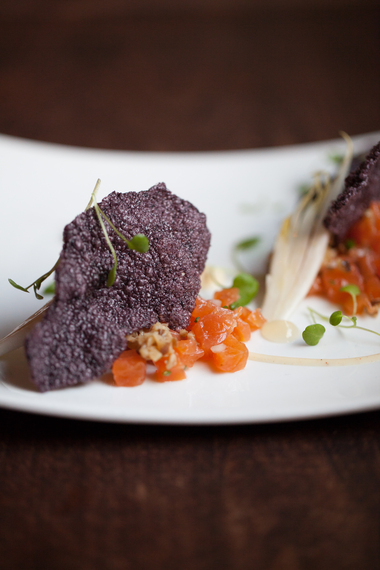 Ela offers dynamic four- and six-course tasting menus, which typically include at least one creative take on crudo or tartare. Currently, the restaurant is dishing out a can't-miss Arctic Char Crudo with kohlrabi (a relative of cabbage), mustard seeds and piquillo pepper ponzu (a thin, sweet chili pepper sauce). 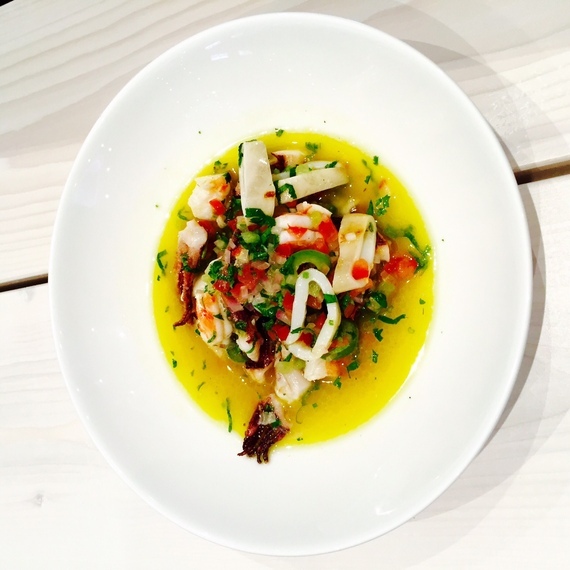 Photo provided by Empellon Taqueria. Among many standout tacos at Empellon Taqueria, the fish tempura is decorated with cabbage and lime mayonnaise, making for a fresh, crunchy delight. 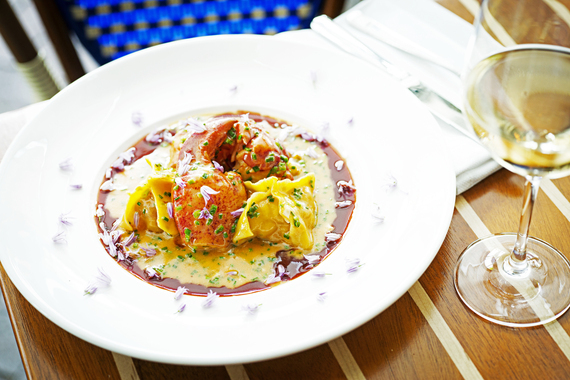 Sprinkled with ginger and chives, the lobster ravioli at Fiola Mare is not only beautiful on the eyes -- yes, we've seen it make waves on Instagram -- but on the palate, too. Fish is a staple on Vee Vee's seasonally changing menu, including seared scallops with zucchini puree, corn, green beans, cherry tomatoes, new potatoes, fennel and sorrel pistou (a Provençal cold sauce that's somewhat similar to pesto, although it lacks pine nuts, and is made from cloves of garlic, sorrel and olive oil). 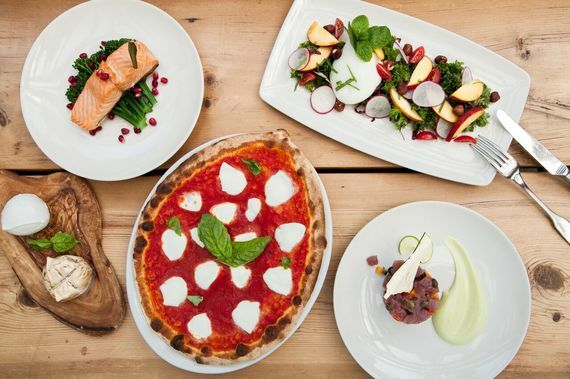 Obica, a mozzarella bar focused on fresh pizza and pastas, also delivers excellent seafood including ahi tuna tartare, fire-grilled calamari, wild Italian sea bass and red snapper.